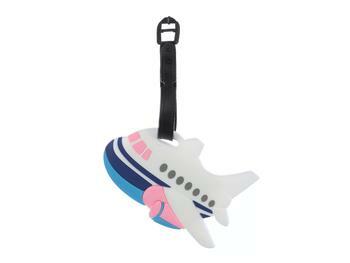 Rubber "Airplane" shaped luggage tag with name and address card on the back. Tag measures 4" x 2.5". 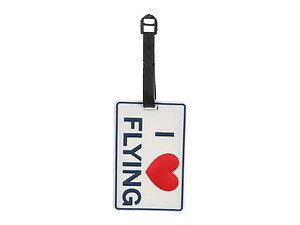 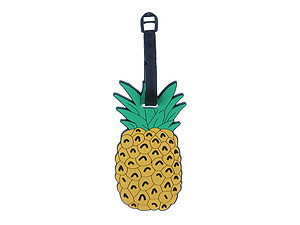 This luggage tag will stand out and show your fun personality. 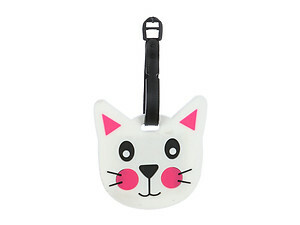 It is perfect for yourself or for gift giving.